Almost five years ago I was only twenty seven years old but I was living inside of a body that was dying. I had a wonderful husband and amazing children who I loved more than anything and yet I was miserable. I was in my twenties and it was hard to get up and down off the floor when playing with my kids because I weighed a whopping 320 pounds. My back hurt, my knees hurt and I lived in a perpetual fog of depression, anxiety, guilt and self-loathing. I knew I had to do something. The problem was that it is hard to begin about the business of saving your life when you don’t have an iota of belief in yourself. Aside from not believing it was possible, most days I didn’t even believe I was worth it. I don’t say this to be a downer I say this in case somebody out there is struggling with these same feelings. I have been in that dark place and I am here to tell you don’t have to stay there. I waited for a long time for motivation to kick in, to feel “ready” to take on the challenge of losing what seemed like an impossible amount of weight. In January of 2010 I read the book “The Spark.” I was still not convinced I was ready or capable but I knew I had to do something; that I had to a least try. If not for myself for my family. So very slowly I started making small changes. Chris Powell never “chose” me; I didn’t spend months starving myself and over exercising on the Biggest Loser Ranch. I didn’t lose ten pounds a week. I started tracking my food intake and faced the scale. That may not sound like much but I was in deep denial about how much I weighed and how horrible my diet was. I started out just trying to consume fewer calories. Slowly I started to focus on improving the quality of the foods I was eating and drink more water. I also started to cook more at home and eat out much less. I really can not overstate the slowly part here. Gradual, sustainable changes can change your life. As I started to see my efforts paying off on the scale I began to believe that perhaps I was not fighting a loosing battle and I could do this. The fog I had been living under started to clear and for the first time I began to believe that I was capable of succeeding. Growing up I was athletic and active and I started to think maybe I could get back to that place. Overwhelmed by the thought of walking in to a gym at over 300 pounds I started playing some Wii Fit games and trying to follow along with some workouts I found on YouTube. I could only do moderate exercise for about ten minutes at a time at that point and it was humbling. I hated having a body that was not capable of doing what I wanted it to do. I ordered an exercise ball and when it arrived I had to wait to lose a few more pounds in order to be under the weight limit to use it. I kept working out at home until it stopped being challenging and I got up enough nerve to go the gym. Then, I started using the elliptical and using the nautilus weight machines. Eventually, I found myself sixty pounds down, at 260 pounds, tired of the elliptical and ready for a new challenge. I heard of a program called Couch-to-5K and looked it up. It looked like something I could do! My dad offered to run with me so we met early one morning with a stop watch and a plan. The plan being to run for a minute and walk for two, repeated several times. I could not make it a full minute! Instead of hating running I hated that I couldn’t do it. It’s a pretty primal function that our bodies should be capable of and there I was sucking wind after forty five seconds. I stuck the program out and improved pretty much daily. One of the happiest moments of my life was the first time I was able to run for twenty minutes straight. 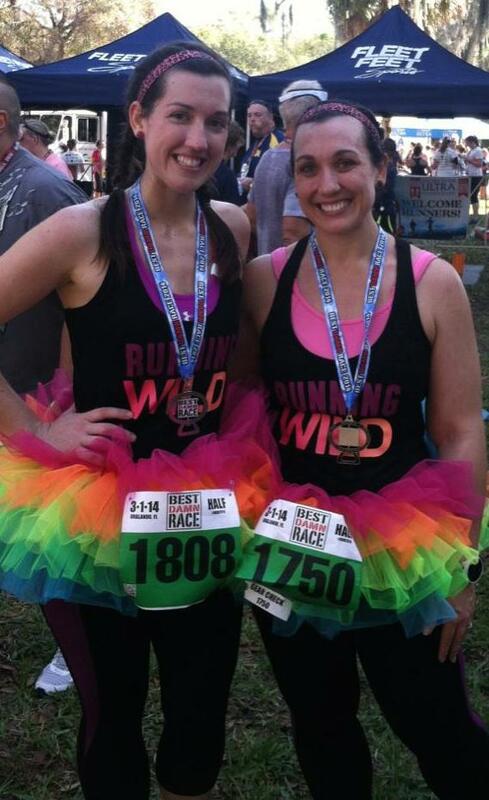 I ran my first 5K about three months after I started running and I was hooked! On a whim I register to run a half marathon. To celebrate turning thirty I ran 13.1 miles. 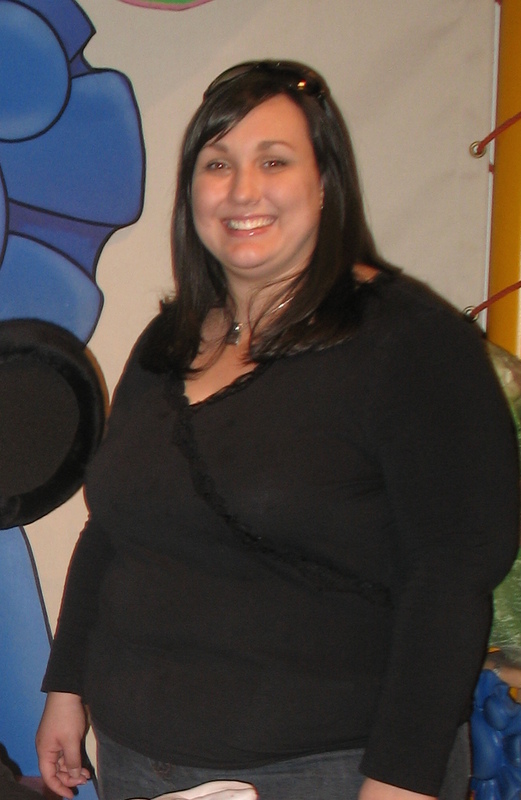 I was almost 100 pounds down at that point. Best of all, the girl who didn’t believe she was capable of much was long gone. I decided to tackle a full marathon! I cried when I registered. Just being a person who could stare down 26.2 miles and think, “Yeah, I can do that” felt like a victory. All I had wanted a few years prior was not to DIE and achieve a level of health and fitness that would allow me to keep up with my children. Somehow having the courage to tackle those goals, even when they felt impossible, led me to a marathon. On January, 12th 2014 I ran my first marathon. It was one of the greatest experiences of my life. When it was hard to keep going I would just remind myself that it was nowhere near as difficult as having to live life at 320 pounds!